Driftless Pathways is a small, family-owned business founded by Danielle Benden and Robert “Ernie” Boszhardt to share our expertise in Wisconsin Archaeology and museum curation. We offer unique archaeological site tours, professional development/curation training, and museum consulting services. Danielle obtained a Bachelor’s degree in archaeology from UW-La Crosse and a Master's in Museum and Field Studies from CU-Boulder. Before opening Driftless Pathways, she was the first director of the Minnesota Marine Art Museum and later served as anthropology curator at UW-Madison. She is the current chair of the Society for American Archaeology’s Committee on Museums, Collections, and Curation. Ms. Benden hosts regional seminars and national webinars for audiences ranging from local, volunteer-run museums to professionals looking to gain new practical skills. 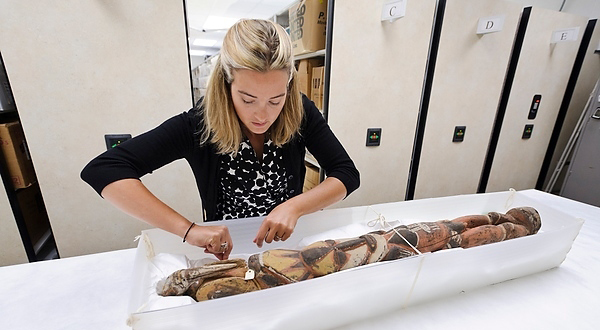 She has directed archaeological field projects, designed and overseen upgrades to curation facilities, and enhancements of museum collections. She has published her work in national and regional outlets. 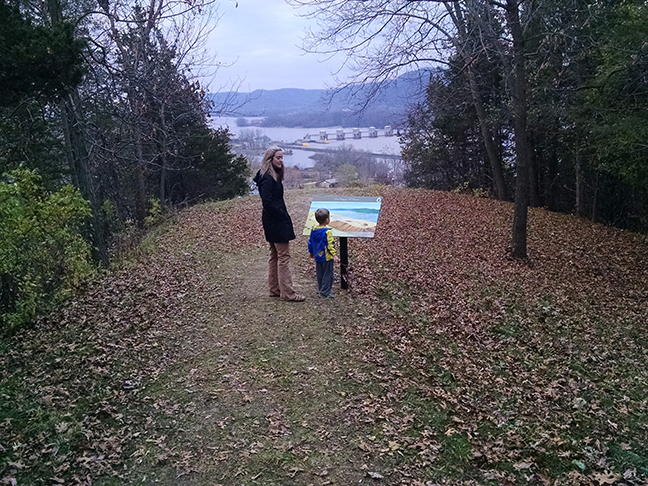 Together, we have co-directed a long-term archaeology project in Trempealeau, Wisconsin. For more than ten years, we have been researching the unique 1,000-year-old early Middle Mississippian outpost at Trempealeau. 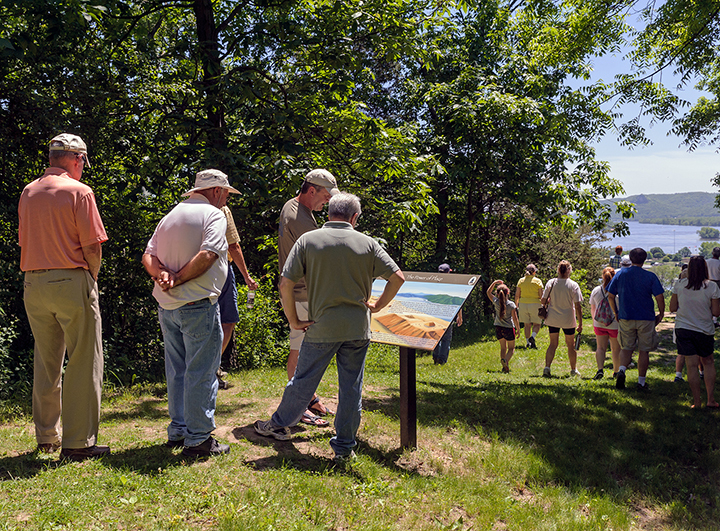 Today, we continue this discovery through public archaeology and outreach, especially through the Trempealeau Interpretive Path (TRIP). 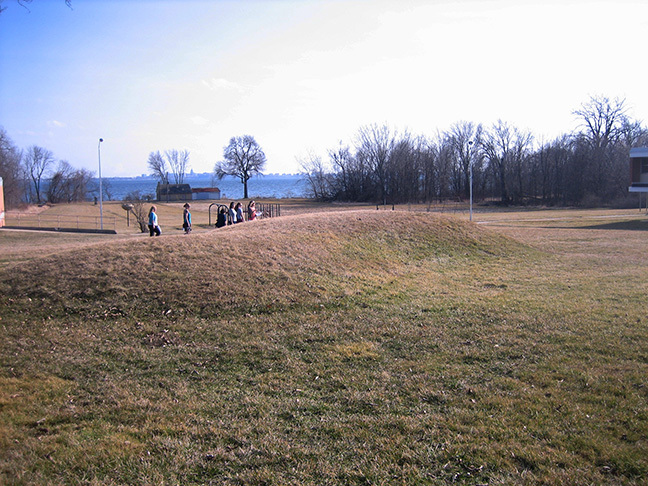 Hike up Little Bluff, over a sacred causeway that leads to three temple mounds. 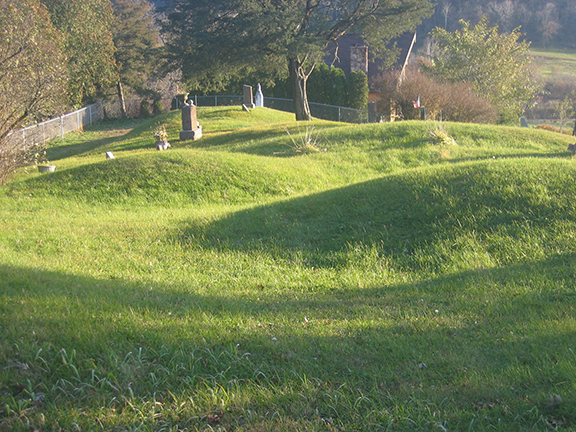 Visit an enigmatic mound group partially preserved within a white settler’s cemetery. 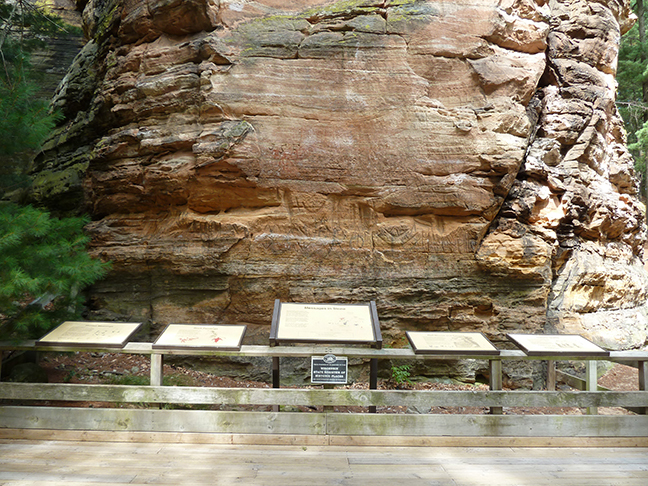 See ancient carvings and paintings at Roche-a-Cri, a butte that rises from the flat sands of central Wisconsin. 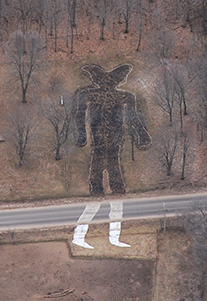 The only remaining human-shaped effigy mound in the world. Explore Mississippian Mounds and discover how this 1,000-year-old village was enclosed. Check out our books archaeology of Wisconsin and the Midwest. Pack your shoes and adventurous spirit. For the general public, professional, libraries, and classrooms.